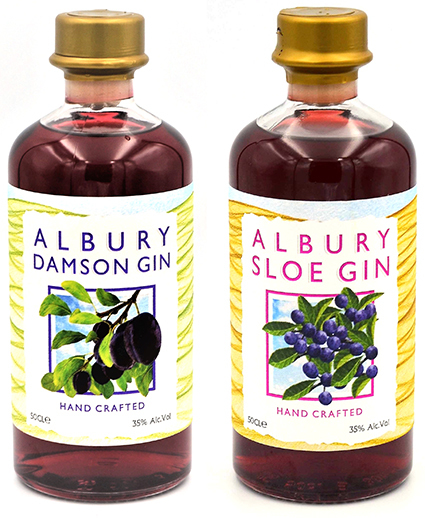 Silent Pool Distillers has extended its offering for Christmas with the introduction of two new seasonal spirits: the Albury Sloe Gin and Damson Gin. Both have been neatly handcrafted in the Surrey Hills distillery, ready to bring a touch of berry warmth to your festivities and offer the perfect gin-lovers’ gift this Christmas. Just launched, the Albury Sloe Gin (£30 per 50cl) puts a modern twist on the traditional sloe recipe, with a slightly higher strength and the addition of a secret spice. Using less sugar than most other brands, the Sloe Gin expresses a delicious balance between the sweetness and classic tart finish from the fruit. Expect an initial hit of rich berry, followed by subtle notes of juniper and almond, ending on a pleasantly warm finish. Sip your Sloe Gin from a hip flask on a long winter’s walk, enjoy it neat or poured over ice with an optional squeeze of lemon. Or better still, why not add a splash to your Christmas champagne? Offering an equally tempting after-dinner tipple, the Damson Gin (£30 per 50cl) brings together sumptuous notes of ripe berry and plum, with hints of almond, juniper and a finishing note of vanilla. Crafted using damsons sourced from Kent, this flavorsome British classic is not to be missed from your festive drinks selection. Mix yours with lemon juice and soda for a classy Christmas Collins! The new spirits join a whole host of handcrafted products on offer from Silent Pool Distillers this season; from innovative liquid garnishes to boozy Christmas crackers, scented candles, gin-infused salmon and its signature, award-winning Silent Pool Gin. The Sloe Gin, Damson Gin and all other products crafted by Silent Pool Distillers are available to buy now at the distillery, or online at www.silentpooldistillers.com.